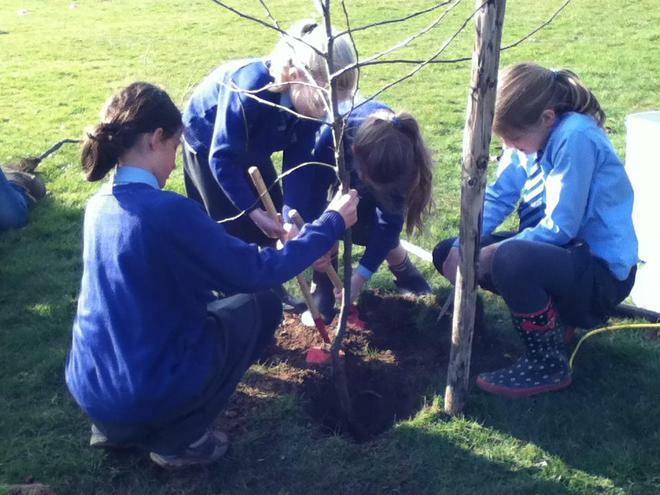 On Friday 11th March, the Year 6 Plant for the Planet Ambassadors invited 2 children from each class to plant an apple tree near the field. 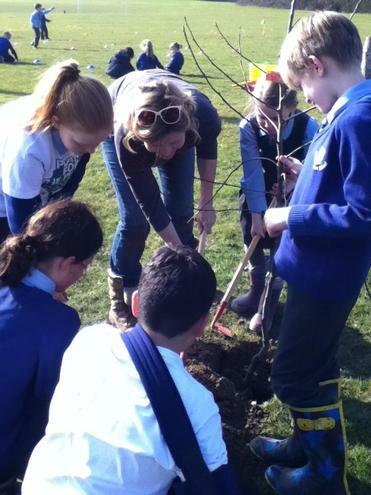 In total, we planted 12 trees as part of a big project aiming to plant 1,000 billion trees all over the world. 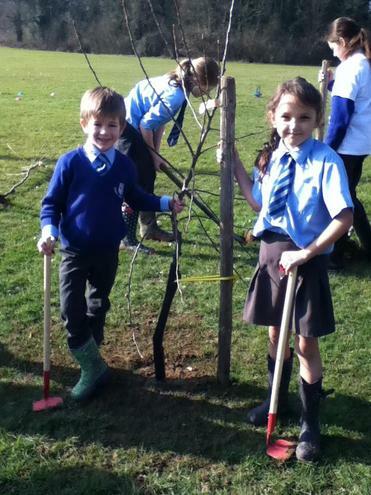 We would like to thank Mrs Fyfe for kindly donating the apple trees.